Deniers are fond of pretending that no mass graves have ever been found containing the bodies of murdered Jews. That's why Germar Rudolf lied about the mass grave outside Marijampole in Lithuania, why in spite of at least nine pieces of documentary evidence, they also lie about Babi Yar. So it was no surprise that when we reported the news that a mass grave had been uncovered in Smalyarka, Belarus, that some fourth-rate deniers on the internet insisted, lemming-like, that the story could not possibly be true. Yet documents show that there is not just one more mass grave for 'revisionists' to deny, but many dozens in this one region of Belarus, known as the Polesie, alone. The first step towards enlightenment is to ditch political correctness and call Smalyarka by its Russian name, Smoliarka. The Lukashenko government has for all intents and purposes declared Russian the official language of Belarus, and unsurprisingly, you'll get more results from Google if you use the Russian and not the Belarusian spelling, as we will from here on out. Smoliarka lies around five kilometres away from the town of Bereza Kartuska, not far from the village of Bronnaia Gora, located in Berezovskii district (raion) of the Brest province (oblast) in Belarus. It is so small that it is not even marked on the map provided on the local district council's website. Yet the same website records the murder of 1,500 people at Smoliarka on its chronology of the district's history. The event, then, is hardly unknown. The uncovering of the mass grave at Smoliarka, as was reported in the original news story about the excavation, was the work of school students from the village of Bronnaia Gora who had visited the Brest oblast archive and found records of the Soviet Extraordinary Commission into German war crimes describing the location of several mass graves in which up to 1,500 Jews from Bereza Kartuska ghetto and other nearby villages had been buried after being shot circa September 1942 by German policemen. Soviet citizens of the city of Bereza and of the villages of this area were transported in trucks to the graves, in the suitable place. The sufferings and the slaughters of the peaceful inhabitants of the village of Smoliarka was similar to those of the genocide in Brona Gura [Polish spelling of Bronnaia Gora]. Five common graves were discovered there and they all had Soviet citizens. Each sepulcher had the same measures: 10 meters long, 4 meters wide and 2.5 meters deep. The genocide of Soviet citizens in the area of the village Smoliarka was carried out in September 1942. There they were shot - according to eye witnesses - about 1000 persons. So the recent excavations broke no new ground: instead, they were an attempt to re-locate a grave that had been opened in 1944, when the Extraordinary Commission first surveyed the Berezovskii district, but which had been forgotten thereafter. According to the program prepared by Fascist conquerors in the forests of Brona Gura, at a distance of 400 meters NE to the railroad station of Brona Gura, between May and June of 1942, they dug graves on a surface of 16.800 (square) meters. To do this work Germans used peasants of the area, between 600 and 800 people daily. To speed up the work they used different explosive materials. Boxcars were replete and among them were many that died. Then they took them to the railroad crossing, where there were military deposits, some 250 meters of the central station of Brona Gura. They stopped the boxcars close to the prepared graves, and they discharged people on the land surrounded by wires of spikes. After discharging people from boxcars, they ordered them to undress, to throw their clothes, and were left naked. Then they led them by a kind of narrow corridor among wires of spikes toward the graves. The first ones descended to the graves by a stairway and were forced to lie face down, one next to another. After filling the first "layer" they shot them with automatic weapons. Germans dressed the uniforms of the ASD and SS. In the same way they filled the second and third layer until filling the moat. The screams of men, women and children broke the heart. After shooting all the citizens, they loaded the clothes and objects on the boxcars toward an unknown destination. The arrival and discharge of people in the boxcars, were carried out under the severe surveillance of the station chiefs in Brona Gura, Pikeh and Schmidt, of German origin. In order to erase all sign of the cruelties made in Brona Gura, Germans shot all the citizens (more than 1000 people) that inhabited the area in which were in the past military deposits. On the surface where the terrible slaughter was made, were eight wells. The first sepulcher had 63 meters long and 6,6 meters wide. The second, 36 meters long and 6.5 wide. The third was 36 meters long and 6 meters wide. The fourth was 37 meters long and 6 meters wide. The fifth was 52 meters long and 6 meters wide. The sixth was 24 meters long and 6 meters wide. The seventh was 16 meters long and 4.5 wide. The depth of all the sepulchers was between 3.5 to 4 meters. From June until November of 1942 Germans murdered more than 30,000 citizens in the area of Brona Gura. The German historian Christian Gerlach, along with many other commentators, has given in his book Kalkulierte Morde even higher figures of up to 50,000 killed at Bronnaia Gora, and indeed, this is the number recorded on the memorial stone there. The killing-site, whose name in Polish would translate to 'harrow hill' from Polish, is almost unique in the 'occupied eastern territories: instead of the killers coming to the ghettos, the ghettos were brought to the killers. Jews from Antopol, Bereza Kartuska, Kobryn, Gorodets and Mikroshevichi were brought by train from June to November 1942 to the site and murdered there, instead of being killed near to their homes. 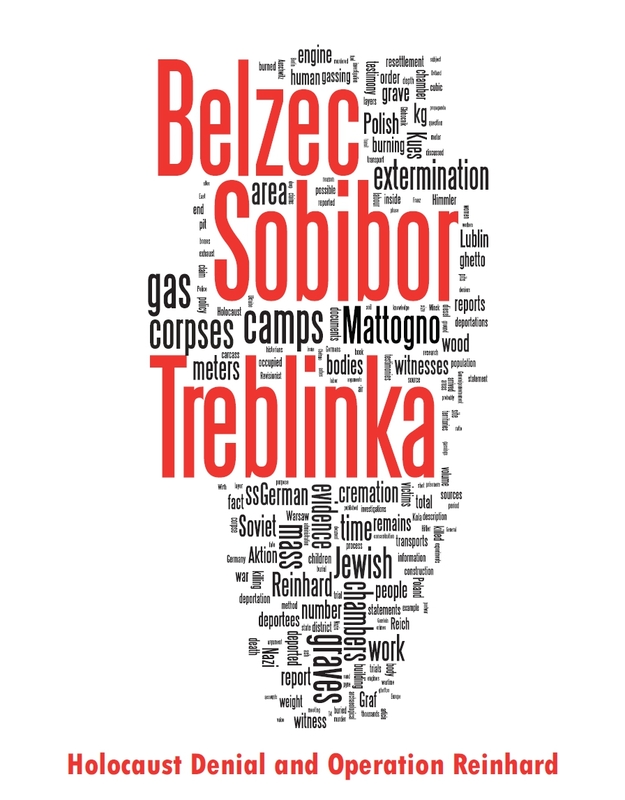 Proof of the scale and extent of the mass-murders of Jews in the Brest region is extensive. The main unit responsible for the killings, Polizeibataillon 310 (also known as III./Polizeiregiment 15), left behind its war diary, which has received extensive scholarly commentary from many historians. Indeed, Edward Westermann, a professor at the US Air Force University, has written a whole article on the subject. Not only do we have the unit records, we also have an embarrassment of information from Brest itself. These fall into two categories: reports sent to the Ostministerium from the Gebiets- and Stadtkommissar appointed to the Brest region, and records left behind in the retreat. The Ostministerium papers can be found in the US National Archives II in College Park, microfilmed under NARA RG 242 T454. According to the Lagebericht of the Stadtkommissar Brest of November 21, 1941, a total of 17,574 Jews were registered as inhabiting the city of Brest (NARA T454/102/7).This was fewer than had lived there on June 22, 1941, since Ereignismeldung UdSSR Nr. 32, compiled by the RSHA from activity reports of the Einsatzgruppen on July 24, 1941, recorded that 3950 Jews and 400 Russians had been 'liquidated' (NARA T175/233/2721638). From other records, in particular reports of the 221st Security Division, we know that the perpetrators of this massacre were Polizeibataillon 307. The fate of the surviving 17,574 Jews left from more than 21,000 inhabitants of Brest before the outbreak of war is especially well-documented in the subsequent monthly reports of the Stadtkommissar Brest. Moreover, the Brest Oblast archive contains an almost unique collection of over 12,000 passports issued to all Jews over the age of 14 inhabiting the Brest ghetto. The collection has now been digitised and is available here. The 'evacuation' of 19,000 Brest Jews was recorded in the report of the Gendarmerie-Gebietsführer Brest for the month of October 1942, dispatched on November 11, 1942 (NARA T454/104/999, excerpts are published in Paul Kohl, 'Ich wundere mich, dass ich noch lebe.' Sowjetische Augenzeugen berichten, Gütersloh, 1990, p.198). The war-diary of Polizeibataillon 310 gives a lower figure, of 16,000. Meanwhile, a retrospective report (Der Ortsbeauftragte Brest-Litowsk, Betr. : Bericht über die Tätigkeit der Zivilverwaltung, November 11, 1943, NARA T454/104/1680) gave a figure of 18,000. Without the benefit of any access to German reports at all, the Black Book of Grossman and Ehrenburg estimated that between 17 and 20,000 Jews were sent from Brest to the killing-site at Bronnaia Gora. Brest. The liquidation of the Jews has been continuing since 15 October. During the first 3 days about 12 000 people were shot. The place of execution is Bronna Gora. At present the rest of those in hiding are being liquidated. The liquidation was being organised by a mobile squad of SD and local police. At present the 'finishing off' is being done only by the local police, in which Poles represent a large percentage. They are often more zealous than the Germans. Some Jewish possessions go to furnish German homes and offices, some are sold at auction. Despite the fact that during the liquidation large quantities of weapons were found the Jews behaved passively. In March 1944, the Bronnaia Gora site was visited by Sonderkommando 1005, the SS unit under Paul Blobel responsible for exhuming and cremating the evidence of German mass murder. In central Russia and Belorussia, SK 1005 was active near many of the larger towns: reports survive of its operations at Smolensk, Mogilev, Borisov, Bobruisk and Minsk. But not, it would seem, at the smaller raion capitals and the rural shtetls. Thus, while Soviet investigators found at Bronnaia Gora only ashes and empty graves of the dimensions described above, elsewhere in the Brest region and the Polesie as a whole, they repeatedly were directed by eyewitnesses and local informants to the sites of a score of other intact mass graves. Smoliarka, then, was one such exhumation. Christian Gerlach mentions another, at the town of Drogichin, where the Extraordinary Commission recorded in Akt No. 5 of November 2, 1944 that a mass grave totalling a volume of 1092 cubic metres was opened. It was evidently exhumed in its entirety, as the report indicates 3,186 corpses were found in the mass grave: 895 men, 1083 women and 1838 children. Such precision was far from always the case with Soviet exhumation protocols: unsurprisingly, most of the investigators preferred to open a grave, measure its dimensions, check the identity of the corpses (i.e., whether in military uniform and therefore Soviet prisoners of war, or in civilian clothing), and estimate their number based on a volume calculation. Because of these methods, and because the Germans did not always leave reports behind, an absolutely precise figure for the number of victims, Jewish and non-Jewish alike, of Nazi occupation policies and genocide will never be known. Yet the convergence of evidence from both German reports, eyewitnesses and exhumation protocols is more than sufficient to prove the extent and scale of the genocide of Jews in the former Soviet Union. Before the war, the Brest region had belonged to the Polesie woewodstwo (voivodship) of Poland. In 1931, the official Polish census recorded 113,988 Jews by religious confession in the Polesie woewodstwo. In September 1939, the entirety of the Polesie was annexed to the Soviet Union and split into two provinces, Brest and Pinsk oblasti. Estimates vary of the total number of victims in both oblasti, but one source puts the number of Jews murdered in the Polesie at 113,451, an entirely plausible number when it is remembered that the Jewish population grew perhaps 10% before the outbreak of war, and was further swollen by the arrival of refugees from the western districts after the partition of Poland between Nazi Germany and the Soviet Union. The Belarusian historians Emanuil Ioffe and Viacheslav Selemenev uncovered an NKVD report in the National Archives of the Republic of Belarus (NARB) in Minsk concerning the number of Jewish refugees in the Belorussian Soviet Socialist Republic as of February 1940. According to this document, a total of 65,796 Jews had fled over the Nazi-Soviet 'interest border' by this date, of whom 9,879 resided in the former Polesie province; 7,916 in Brest and 1,963 in Pinsk oblast (‘Jewish Refugees from Poland in Belorussia, 1939-1940’, Jews in Eastern Europe, Spring 1997, pp.45-50). From the exhaustive reconstruction of the fate of the Jews of Pinsk published by E.S. Rozenblat and I.E Elenskaia (Pinskie evrei: 1939-1944 gg. Brest, 1997), we know that around half of these refugees were deported in the summer of 1940 by the NKVD; the rest stayed. OKW has informed me that region of Brest-Gomel suffers increasingly from gang attacks, which bring into question the need for additional troops. On the basis of the news, which has been reported to me, one must regard in the Ghetto of Pinsk the center for the movement of the gangs in the region of the Pripyat marshes. Therefore I order, in spite of economic considerations, the destruction and obliteration of the Ghetto of Pinsk. 1000 male workers may be spared, in the event that the operation allows for this, to be made available to the Wehrmacht, for the production of wooden prefabricated huts. These 1000 men must be kept in a well-guarded camp, and if security not be maintained, these 1000 are to be destroyed. "Die Juden, nun aufmerksam geworden, sammelten sich zum groessten Teil freiwillig auf allen Strassen und mit Hilfe von 2 Wachtmeistern gelang es, schon in der ersten Stunden einige tausend zum Sammelplatz zu lotsen. Da nun der andere Teil der Juden sah, wohin es ging, schlossen sie sich dem Zuge an, sodass die vom SD am Sammelplatz in Aussicht genommene Sichtung auf Grund des starken und ploetzlichen Anlaufs nicht mehr erfolgen konnte. (Man hatte fuer den ersten Tag der Durchkaemmung nur mit 1-2000 Personen gerechnet.) Die erste Durchkaemmung war um 17.00 Uhr beendet unt verlief ohne Zwischenfaelle. Am 1. Tag wurden cr. 10 000 Personen exekutiert. Fuer die Nacht lag die Komp. in Alarmbereitschaft im Soldatenheim. Am 30.X. wurde das Ghetto zum zweiten-, am 31.X zum dritten- und am 1.XI zum vierten Male durchkaemmt. Es wurden insgesamt cr. 15 000 Juden dem Sammelplatz zugefuehrt. Kranke Juden und einzelne, in den Haeusern zurueckgelassene Kinder wurden sofort im Ghetto auf dem Hof exekutiert. Im Ghetto wurden cr. 1200 Juden exekutiert. Zu Zwischenfaelle kam es bis auf einem Fall nicht." 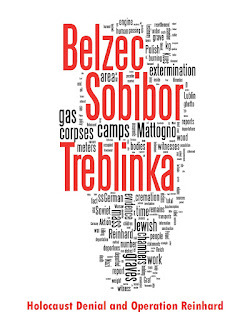 Soviet investigators after liberation found 34 mass graves in and surrounding Pinsk, containing a total of 59,084 corpses, of whom 20,000 were Soviet POWs and 38,342 civilians (Akt, 24 aprelia 1945 g, g. Pinsk, NARB 845-1-13, p.1). I have not discussed the August 1941 massacre of up to 9000 Jews in Pinsk by the SS-Kavallerie-Regiment 2, because it has been so admirably dealt with by both Christian Gerlach and, lately, Martin Cüppers in his doctoral dissertation, Wegbereiter der Shoa. Die Waffen-SS, der Kommandostab Reichsführer-SS und die Judenvernichtung 1939-1945. English-speaking readers can also consult the Pinsk memorial book here. 11-13.8.41: Die Durchkämmung der Pripjet-Sümpfe wurde durch Reitende Abteilung erfolgreich beendet... 2325 Plünderer wurden in der Berichtszeit erschossen. Insgesamt wurden bisher 7730 Plünderer, Kommunisten, Kommissare, Parteisekretäre, Agitationaredner und Partisanen erschossen. On the outskirts of the town of Luninets the commission examined mass graves of victims of fascist terror: in the direction of Mochula 7 graves were found, located 400 metres to the north of the embankment of the reserve railway line Luninets-Pinsk. The dimension of each of the three large graves was 6 x 2 x 2.5 metres, the dimensions of the four small graves was 4 x 2 x 1.5 metres. In these 7 graves were buried 1312 male persons. By a rare coincidence, the boundaries of Luninets raion corresponded with those of the pre-war Polish powiat of Luniniec. In 1931, the census recorded 8,072 Jews on a confessional basis in the county. Soviet investigations found that 7,127 Jews had been murdered in Luninets raion. Approximately 80-90% of all Jews in the county had been exterminated, and their bodies recovered. This, then, is the dirty secret that deniers do not want you to know: there were many, many more mass graves littering the landscape of Eastern Europe than just those at Babi Yar, Belzec or Treblinka. In Poland, there were 1,657 Jewish communities, of whom at least a quarter were murdered in or nearby to their home towns. In the Soviet Union, a further 800 ghettos have been identified, all of which were wiped out by 1943. To speak of a 'limited' number of 'justified' reprisal executions, as deniers sometimes concede, is arrant nonsense. Nor can one identify the mass shooting actions solely with the Einsatzgruppen. In none of the cases presented here did a Kommando of Einsatzgruppe B carry out the exterminations. Instead, the perpetrators were the Ordnungspolizei, the Waffen-SS and the static detachments of the Sicherheitspolizei. When was the last time you heard a revisionist discuss the activities of these units? Almost never. Russian demographers have worked out that 26 million Soviet citizens died between 1941 and 1945. A cautious calculation of the number of Jews murdered in the Soviet Union indicates that 10% of this number, 2.6 million, were killed in the Holocaust. Of these, 144,000 were killed in Russia, at least 250,000 in pre-war Belorussian SSR, 656,000 in the Ukrainian SSR, 100,000 in present-day Moldova, 218,000 in the Baltic States of Lithuania, Latvia and Estonia; and 1.2 million on the territory of eastern Poland annexed to the Soviet Union as western Belorussia and western Ukraine in 1939. Deniers would have us believe there is no evidence for this litany of horror. Yet the evidence exists in abundance: in German documents, in eyewitness accounts from perpetrators, victims and bystanders, and in exhumation protocols repeated from the Caucasus to the Polish border with monotonous consistency. The fact that Belarusian school students can take Soviet investigative reports from 60+ years ago and today relocate mass graves only proves what deniers cannot cope with: that mass murder took place, and took place repeatedly. Well, Rudolf didn't lie. He was misled by LR article and also by denier forger Dragan (who did lie).